AUGUST 18, 2015 -- If you, like many, believe oil shouldn't just be spilled without consequence into the ocean, then you, like us, should be grateful for a very important U.S. law known as the Oil Pollution Act of 1990. Congress passed this legislation and President George H.W. 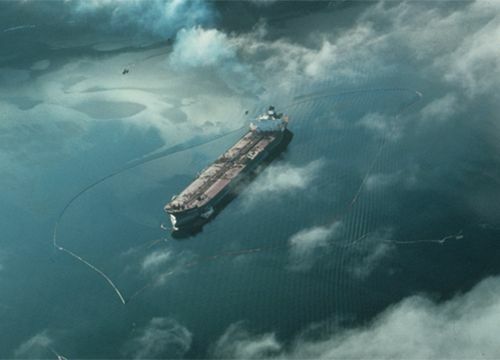 Bush signed it into law 25 years ago on August 18, 1990, which was the summer after the tanker Exxon Valdez hit ground in Prince William Sound, Alaska. On March 24, 1989, this tanker unleashed almost 11 million gallons of oil into relatively pristine Alaskan waters. The powerful images from this huge oil spill—streams of dark oil spreading over the water, birds and sea otters coated in oil, workers in shiny plastic suits trying to clean the rocky coastline—both shocked and galvanized the nation. They ultimately motivated the 101st Congress to investigate the causes of recent oil spills, develop guidelines to prevent and clean up pollution, and pass this valuable legislation. Yet that monumental spill didn't fully drive home just how inadequate the patchwork of existing federal, state, and local laws were at addressing oil spill prevention, cleanup, liability, and restoration. Nearly a year and a half passed between the Exxon Valdez oil spill and the enactment of the Oil Pollution Act. What happened in the mean time? 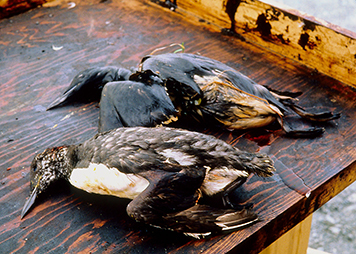 The summer of 1989 experienced a trifecta of oil spills that drained any resources left from the ongoing spill response in Alaska. In rapid succession and over the course of less than 24 hours, three other oil tankers poured their cargo into U.S. coastal waters. Between June 23 and 24, the T/V World Prodigy spilled 290,000 gallons of oil in Newport, Rhode Island; the T/V Presidente Rivera emptied 307,000 gallons of oil into the Delaware River; and the T/V Rachel B hit Tank Barge 2514, releasing 239,000 gallons of oil into Texas's Houston Ship Channel. But these were far from the only oil spills plaguing U.S. waters during that time. Between the summers of 1989 and 1990, a series of ship collisions, groundings, and pipeline leaks spilled an additional 8 million gallons along the United States coastline. And that doesn't even include another million gallons of thick fuel oil released from a shore-side facility in the U.S. Virgin Islands after it was damaged by Hurricane Hugo. Can you imagine—or perhaps remember—sitting at home watching the news and hearing again and again about yet another oil spill? And wondering what the government was going to do about it? Fortunately, in August of 1990, Congress voted unanimously to pass the Oil Pollution Act, which promised—and has largely delivered—significantly improved measures to prevent, prepare for, and respond to oil spills in U.S. waters. Now, 25 years later, the shipping industry has undergone a makeover in oil spill prevention, preparedness, and response. A couple examples include the phasing out of tankers with easily punctured single hulls and new regulations for driving tankers that require the use of knowledgeable pilots, maneuverable tug escorts, and an appropriate number of people on the ship’s bridge during transit. Oil spill response research also received a boost thanks to the Oil Pollution Act, which reopened a national research facility dedicated to this topic and shuttered just before the Exxon Valdez spill. But perhaps one of the most important elements of this law required those responsible for oil spills to foot the bill for both cleaning up the oil and for economic and natural resource damages resulting from it. This provision also requires oil companies to pay into the Oil Spill Liability Trust Fund, a fund theoretically created by Congress in 1986 but not given the necessary authorization until the Oil Pollution Act of 1990. This fund helps the U.S. Coast Guard—and indirectly, NOAA's Office of Response and Restoration—pay for the upfront costs of responding to marine and coastal accidents that threaten to release hazardous materials such as oil and also of assessing the potential environmental and cultural impacts (and implementing restoration to make up for them). This week we're saying thank you to the Oil Pollution Act by highlighting some of its successes in restoring the environment after oil spills. You can join us on social media using the hashtag #Thanks2OilPollutionAct.